There are many ways to measure the three-and-a-half decades France Davis has spent as pastor of Calvary Baptist Church in Salt Lake City. 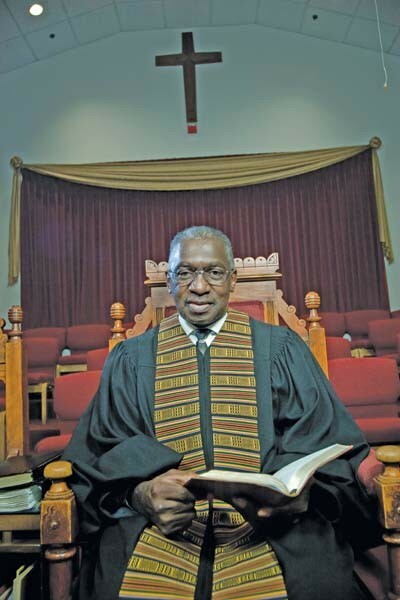 At three services per week, he’s delivered more than 5,000 sermons to his congregation. That congregation, which numbered about 150 when he took over in 1974, has expanded to around 900 in 2009 and is still growing. The small church building at 532 E. 700 South has been replaced by a large state-of-the-art facility on State Street that runs programs from morning until evening every day. His parishioners might remember Davis’ 35 years in terms of the number of times he stayed up all night by the bedside of an ailing member. Beyond the pulpit, Davis’ tenure can be counted in the number of courses he has taught at the University of Utah, the laws he helped change, the results of his work in the larger community, the books he has written, the five scholarships that bear his name, the awards he has received or the numerous boards he has served on. On a more personal level, Davis and his wife Willene can chart the time in having successfully raised three children in Salt Lake City. Or perhaps consider how Salt Lake City itself has evolved in response to his constant advocacy: Two stories from Davis’ life, which at first blush may not seem to be related, illustrate just what sort of change Davis himself helped create. To get a sense of what Davis has achieved and how much Salt Lake City has changed over the years, it helps to understand what things were like when he took over at Calvary Baptist in 1974. When a landlord refused to rent to him, he had no recourse because there was no fair-housing law in the state. (Davis helped get that changed.) Davis remembers the local Boy Scout organization had a rule that one had to hold a priesthood position in the LDS Church to be a scout leader. Nevertheless, Davis was concerned that there seemed to be what he calls a “brain drain” of black talent at the time, with people in the community leaving to pursue educational and professional opportunities elsewhere. “When we got here, we discovered Utah needed as much help as it could get,” he says. He and his wife decided to stay and he set out to build a congregation he hoped would become, “a light in the midst of Zion” (a mission that would become the title of his book), with a focus on both spiritual and educational development. 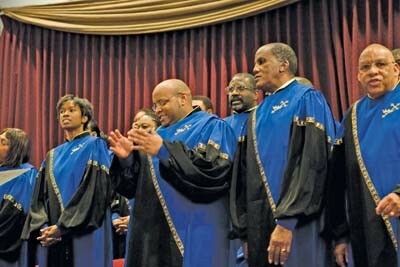 Calvary Baptist Church celebrates the 35th anniversary of the Rev. France and Sis. Willene Davis serving the church with a special service on Sunday, April 26, at 3:30 p.m. The church also hosts guest speakers for the 8 and 11 a.m. services. A celebration banquet is planned for Friday, April 24, at the West Valley City Cultural Celebration Center. The dinner is a pre-paid ticketed event with a cost of $30 for adults, $15 for children. Contact Emma Houston of Brighter Day Productions at 801-557-0867 for tickets or information. From both inside and outside of the state, the concept of a preacher trying to build an African-American congregation in the heart of Mormon-dominated Utah in the mid-’70s seemed far-fetched. However, change was coming, and Davis became part of it. In 1964, with $27 from his parents, he set out for Tuskegee University in Alabama. It was there he met Martin Luther King Jr., Malcolm X, Stokely Carmichael and other notable activists and ended up joining the civil-rights movement. His journey would later include a military tour of duty in Southeast Asia as well as a degree in rhetoric from University of California, Berkeley. (Davis holds six degrees in all, including two master’s degrees.) Things changed drastically when Davis went from Berkeley in the late’60s to Utah in the early ’70s, arriving in Salt Lake City in 1972 as a teaching fellow and graduate student. In 1973, he became interim pastor for Calvary Baptist until the church could find a full-time pastor, and he even sat in on some interviews to help find a new pastor. However, several months later, Calvary recognized the best candidate was already at the church, and Davis took over in 1974. From the beginning, Davis set an ambitious schedule for himself. Besides doing the regular work of a preacher, he has taught communications and ethnic-studies courses at the University of Utah and advocated for change in the larger community. 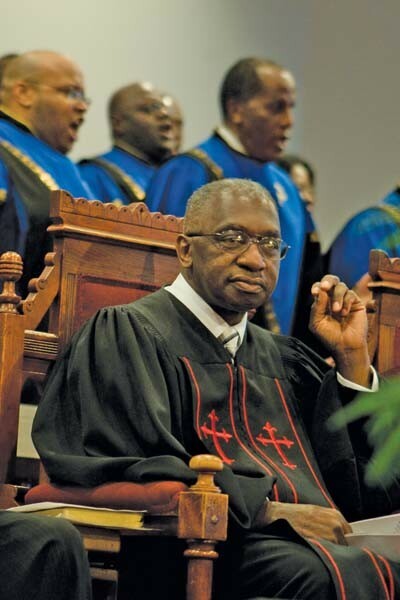 W hile Davis’ activities and achievements in the greater community have been justly noted, for his parishioners, it has been his quiet, steady presence in their times of need that has been most impressive. As France Davis continued to work year after year, things began to change, not only at Calvary Baptist but around Utah as well. While the church continues to provide that experience for its members, Davis notes, “This congregation has always been an inner-city, downtown kind of church,” and the demographics of downtown have changed over the years. 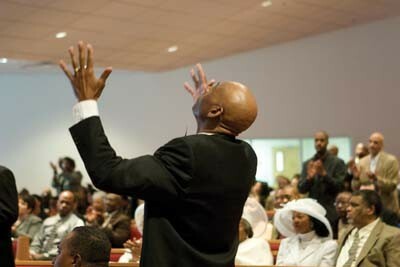 Davis responded by actively welcoming those beyond the African-American community into the church. “People erroneously think Calvary Baptist is a black church, but it’s not true,” Goldsmith notes. “France has deliberately tried to grow a diverse religious community.” A f r i c a n - Americans still make up a distinct majority of the Calvary congregation, but there is a notable presence of other races. At a recent Sunday service, about half of the new convert baptisms were people of Caucasian or Hispanic descent.